PAS quote #1, "The Consumer Electronics Show stormed into Vegas once again to display the latest in gadgets, home theatre, computer and, of course, 12V audio and multimedia. 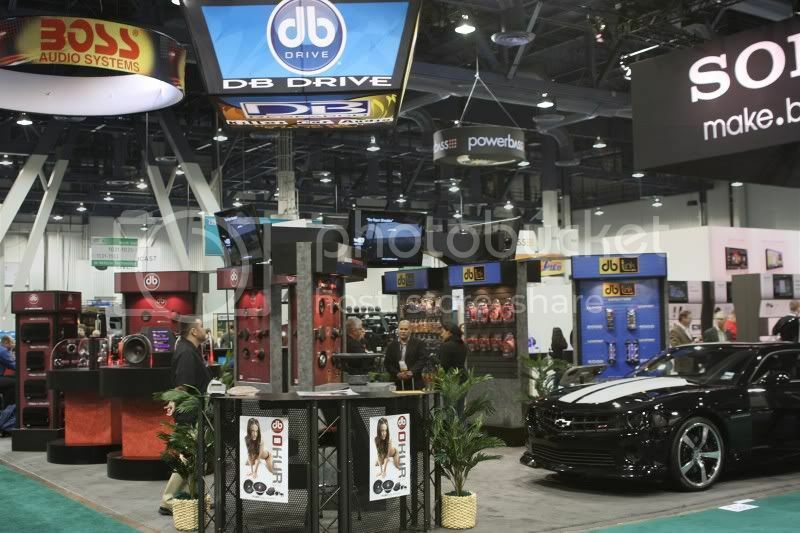 Each year CES brings together new products and new faces to the scene, but as in many years past, it was the major players that attracted the most attention. 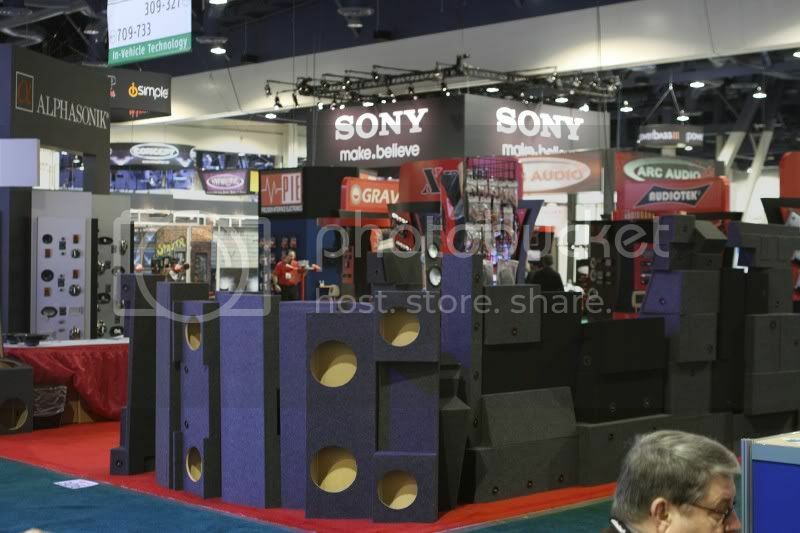 Some of the latest audio builds drew in onlookers by the hundreds and there were more than a few noteworthy installs." 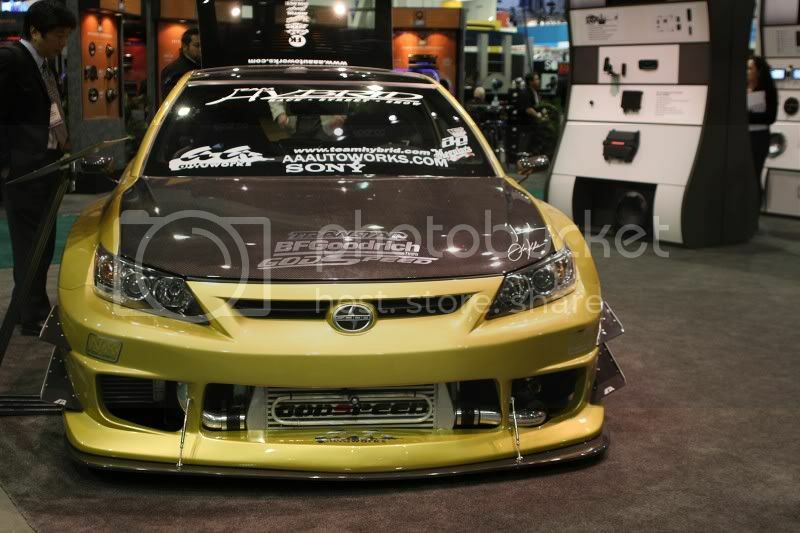 PAS quote #2, "James Lin from Team Hybrid brought his Scion Tuner Challenge build for display at the Sony booth. 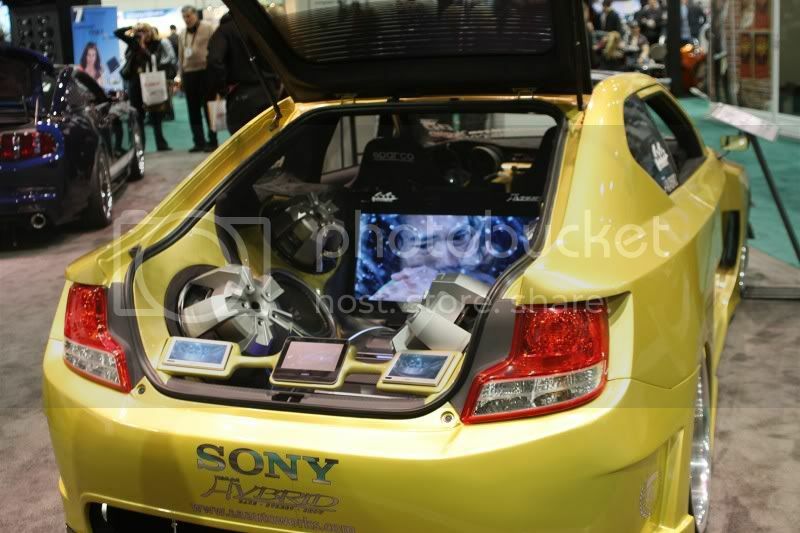 Jammed with all kinds of Sony and Xplod audio and multi-media this tC definitely made a statement with four 15-inch subs as a punctuation mark!"